With the aim to upgrade the aesthetic and cultural quality of the Athenians’ life, it is decided to keep the area open throughout the day and accessible without the need of a ticket to enter it. Signposts inform the public about the entrance points, itineraries inside the archaeological site are being planned, while the monuments located on the Hills are accordingly designated. 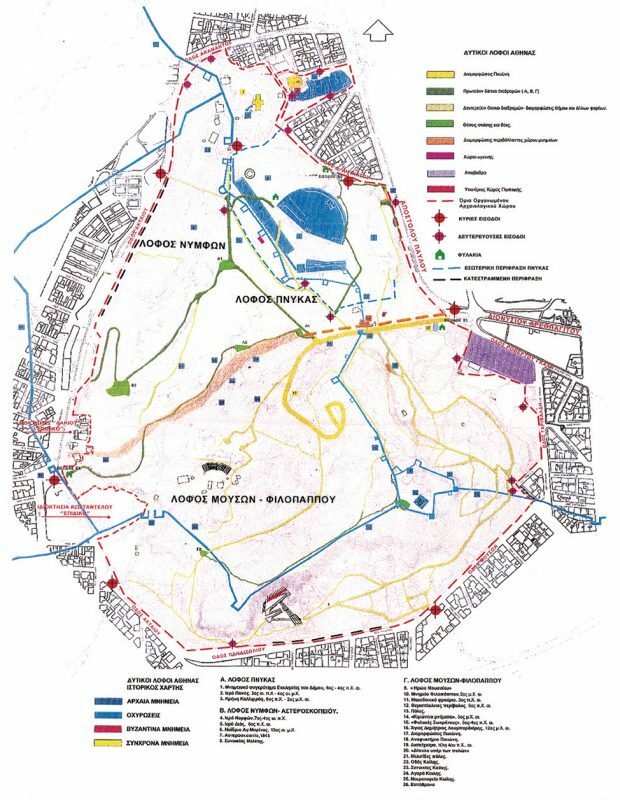 A plan that designates the Hills of the Pnyx, Nymphs and Muses (Philopappos) as an organised archaeological site by the Ministry of Culture.